Low Maintenance- You will never have to worry about muddy paws, spilled milk, and stray chips of hot coals. 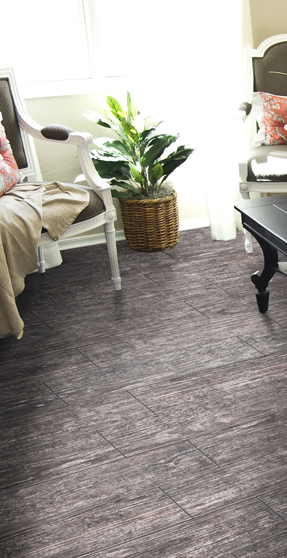 Tile is practically maintenance-free, as it resists dirt and stains and requires little effort to maintain. Just use soap and water to thoroughly clean tile surfaces. Durable- Tile may last many lifetimes. Weather, scuffs from people who forgot to take off of their shoes, etc. will not mar tile's good looks.